Organizational culture is a very real and a very powerful force in every organization. I have worked in a variety of different organizations and each had had its own rituals, norms, values, and assumptions that influenced the way people worked together, shared information, and got things done. Culture is this weird, powerful, unspoken thing that both impacts and is impacted by the people within it. While organizational culture can change over time, it is usually because of major staff turnovers as culture is notoriously difficult to change. Organizational culture can be positive and healthy or seriously maladaptive, but I think most cultures have a little from column A and a little from column B. Healthy cultures incorporate and adapt to new people and ideas. Maladaptive cultures are notoriously difficult for newcomers to feel welcome in and tend to force them to conform or leave. It’s in organizations with maladptive cultures where I think the issue of cultural fit can be most problematic. I know what it feels like to work at a place where you don’t fit. You feel like a second class citizen in just about every interaction. You go from participating in meetings to avoiding speaking at all costs. You feel like your perspective is not taken seriously and the projects you’re involved in are marginalized. There were a few of us at that job to whom it was made painfully clear that we were the odd men out. These were not slackers who did a crappy job, but folks who were passionate about and devoted to their work. Not fitting was torture for my psyche and made me question whether there was something inherently wrong with me. Diversity in the workplace has long been valued as a way to introduce new ideas, but researchers have found other reasons for cultivating heterogeneity. Information was processed more carefully in heterogeneous groups than homogenous groups, according to “Is the Pain Worth the Gain? The Advantages and Liabilities of Agreeing With Socially Distinct Newcomers,” by Katherine W. Phillips, Katie A. Liljenquist and Margaret A. Neale, published in Personality and Social Psychology Bulletin. Social awkwardness creates tension, and this is beneficial, the study found. “The mere presence of socially distinct newcomers and the social concerns their presence stimulates among old-timers motivates behavior that can convert affective pains into cognitive gains” — or, in other words, better group problem solving. So perhaps bringing people in who aren’t such a perfect fit, and maybe even challenge the current structure a bit, is very good for the organization. Any time I have worked with someone who has a very different perspective and lived experience than I have, I have learned so much. I remember when we hired an instructional designer at the PSU Library who came from outside of libraries, I found that it was much more difficult to get on the same page, but the ideas he brought to our work more than compensated for any difficulties I had as a manager. He allowed us to see beyond our myopic librarian view. I think hiring people with different cultural, racial, gender, socioeconomic, etc. backgrounds provide similar benefits to the organization. Whether it is conscious or unconscious, hiring people who are “like you” is bias, and it tends to result in organizations that are less diverse; not only in terms of perspectives, but in terms of race/gender/religion/etc. When you’re on a hiring committee, how often do you find yourself judging candidates based on qualities you value in a colleague rather than the stated qualifications? It probably happens more than we’d all like to admit. It’s easy to fall into the trap of considering fit without even thinking about it. I remember when I was on my first hiring committee, once we’d weeded out those candidates who didn’t meet the minimum qualifications, I felt myself basing my evaluation of the rest on whether or not they had the traits I value in a colleague. The person we hired ended up becoming a good friend and while he did a fantastic job in his role, part of me wishes I had put my personal biases aside when making that decision. I may still have championed him, but I would have done it for the right reasons. One thing I feel strongly that we should hire for is shared values. It is critical that the person one hires doesn’t hold values antithetical to the work of the organization. I don’t care anymore if a candidate seems like they could be a friend, but I do care if they evidence and support the goals and values of my library and community college. Just having the required qualifications isn’t enough; being a community college librarian isn’t for everyone. Unfortunately, in reading this New York Times article, “Guess Who Doesn’t Fit In at Work”, and from my own experiences, people are judged by much more than shared values, which unintentionally biases people doing hiring against folks who have different lived experiences and interests. This is discrimination, plain and simple. When I was looking for an image to use for this post, I found this blog post about how people doing hiring should look at candidates’ social media profiles to scan for cultural fit. That we should look at what restaurants candidates visit and what things they favorite on Twitter frankly scares the crap out of me. Because in doing that, you’re saying that people with different views or outside-of-work activities are not welcome in your organization. Clearly, the more structured the process and the less leeway there is for making decisions based on aspects of a candidates personality, interests and background, the less likely the bias. And what of those cultures that may hire for diversity but then treat people with different ideas and experiences like pariahs? Unfortunately, I get the sense that changing culture is nearly impossible without a decent amount of staff turnover. I witnessed a culture shift in my first library job, but it was because my boss had hired over half the staff over a period of about six years and was able to cultivate the right mix of values and diverse characters. I’ve also seen new administrators come into organizations with really strong, entrenched cultures and fail spectacularly at creating any kind of culture change. Fixing the problem of bias in hiring is only half the problem. We also need to embrace diversity in our organizations so that people of color or people with divergent ideas feel valued by the organization. I feel very lucky that I work at a library that values diversity and diverse perspectives. We have a group of librarians who have different passions, different viewpoints, and very different personalities. Yet I don’t see anyone marginalizing anyone else. I don’t see anyone whose opinions are taken less seriously than anyone else’s. I don’t see people playing favorites or being cliquish. What I see is an diverse group of people who value each other’s opinions and also value consensus-building. We don’t always come to complete agreement, but we accept and respect the way things go. We have a functional adhocracy, where we feel empowered to act and where we alternate taking and sharing leadership roles organically. I feel like everyone is valued for what they bring to the group and everyone brings something very different. Even after one year, it still feels like heaven to me and it’s certainly not because everyone is like me. We have a long way to go in building diverse libraries, but becoming keenly aware of how our unconscious preferences in hiring and our organizational cultures can help or harm diversity is a good step in the right direction. I recently discussed with a co-worker how personal opinions on fit among members of a hiring panel can end a promising job hunt. I’d like to think all information professionals have a sense of social justice, but even librarians can unconsciously harbor stereotypes on what a professional should look or be like. Of course, fit is important, but it can really depend on the job duties and the population being served. Often, personal interpretations of fit can interfere with the needs of the target demographic, especially in public and academic access services. Regarding discomfort as a new academic from a working-class background, I’m reminded of Lindsay O’Neill’s post on culture shock: http://acrlog.org/2015/06/20/culture-shock-and-other-discoveries-of-a-new-academic-librarian/. Thanks for posting, Staci! I do think that for the most part the desire to work with people like us is unconscious and not conscious bias. It wasn’t something I’d thought about myself until the past year or so, but I think the more we talk about it, the most unacceptable those kinds of judgments will be in the hiring process. I loved Lindsay’s post too, as well as this recent one from ACRLog along the same lines http://acrlog.org/2015/08/10/still-lost-in-the-academy/. One thing I’m left wondering about is personality and how ultimately important it is to certain librarian positions, especially teaching positions. If a librarian’s job is to reach out, build relationships, be a good liaison, teach in front of sometimes intimidating crowds, and their personality is such that they will severely struggle with this, then what? 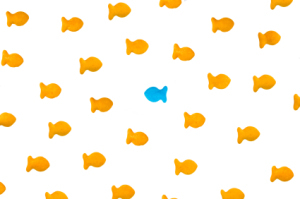 Is trying to identify the ability to adapt and be flexible exhibiting bias in our hiring? Then that is something that is made part of the job requirements so that the candidate can make their case for how they meet those requirements and can be judged fairly. It’s the invisible requirements in the heads of hiring committees that is problematic. Seem like it would be easy to make “Builds relationships with stakeholders outside of the library” and “teaching diverse populations” part of the required qualifications so that you can judge them based upon it. That is totally different from “fit” because they are clear job requirements that are critical to doing the job. Thanks for your post. I just wanted to say this really hit home for me right now. Is it ever possible for a homogenous culture to change without major staff turnover? Is it worth it to stick around and wait for that change? I’m glad you enjoyed the post. And good question! I think it really depends on the context and whether enough members of the organization recognize the problem and want to solve it. Brilliant post! So grateful you are still providing insights and thoughts through this medium. Personally, it’s a very timely post as I’m just about finished with my duties on the hiring committee tasked with finding a new Dean of Libraries. I have some hope and excitement that there can be a cultural shift at my library due to this change. I also recognize that it will be a very difficult task for the new dean to work through the cultural debris left by the current Dean who has served in that position for over 30 years! The committee’s final recommendations leaned hard on the “fit” between two very candidates. It will be a difficult decision for the Provost.